Developing HIV treatments that are properly dosed, more palatable and better adapted to children’s needs. According to the latest UNAIDS statistics (2017), only 43 percent of children living with HIV received antiretroviral therapy (ART) in 2016. Existing paediatric HIV drugs taste bad, are difficult to administer, require refrigeration, and are unsuitable for children suffering from both HIV and tuberculosis. Unitaid and DNDi launched this project to replace existing paediatric HIV formulations with treatments that are properly dosed, more palatable, easy to store, and better adapted to children’s needs. The project will promote in-country adoption of the new drugs to create and sustain demand for them. It aims to ensure that these easy-to-use formulations are affordable and can be rapidly introduced throughout high-burden HIV countries. In June 2016, DNDi and Cipla Ltd. selected the lopinavir/ritonavir (LPV/r) granule formulation which will be incorporated with abacavir and lamivudine as a fixed-dose combination (4-in-1) treatment for infants and young children with HIV. Filing of the 4-in-1 dossier with US FDA is expected in H1 2018. 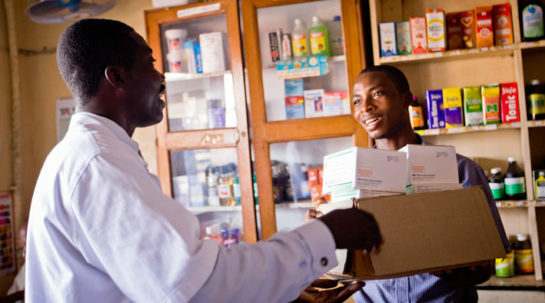 The DNDi project includes large-scale implementation studies (the LIVING study) to provide supportive clinical data on the acceptability, feasibility, efficacy, safety, and pharmacokinetics of LPV-based therapies in routine treatment settings and to provide early access to better formulations and facilitate registration in the countries concerned. As of June 2017, some 560 patients were enrolled in the study across Kenya and Uganda and started on the LPV/r pellets and dual NRTI dispersible tablets. The project aims to increase access to optimal ART for children under three years of age, which is expected to improve coverage and adherence, and eventually to reduce child mortality.